Tell us a little about yourselves, Jeff & Jim. Jim Welch and I were with Express-1 for years. Jim was a founding owner and ran sales and operations, and I came in a few years later and got involved in a variety of capacities with Express-1. The business went public in 2004 under the ticker symbol XPO. Subsequently, the company was purchased and was used as the launching pad for what is known as XPO Logistics today. Both Jim and I left the business around the time of the XPO take over, and had been out of the expedite world for a period of time. I went back to my banking roots for a few years, and Jim did some consulting work. We had a wonderful culture and great employees at Express-1. I think we both have a great appreciation for our past, and we want to apply the best of what we did in the past, with our current effort at PTL. And, conversely we want to avoid the things we screwed up. Without a doubt absence makes the heart grow fonder. We’ve been fortunate in that some of our old team members like Mindy Howard in sales, Dwayne Ridgway in recruiting, Keith Avery and Kyle Plummer in logistics have now joined our team. Mike Welch, the founder and previous CEO of Express-1, is on the board of PTLs holding company Magnate Worldwide and President of Magnate Logistics. The experience of these people, combined with the potential of the PTL team that was in place has resulted in a great rebirth of PTL. When you talk about wonderful culture, what does that mean to your team? The culture can be described quickly in one word “YES”. The power of saying yes to the customer and then working like heck to meet their expectations. We are big believers in Relentless positive action. Mike Welch has always stressed the importance of continual improvement, but always leveraging the positive aspects of the team. We face reality, but are always encouraged by what we are accomplishing through are efforts to improve. Being in Northern Ohio… Buckeyes, Spartans, Wolverines… or Rockets? Funny question. Jim runs the ops team and he is a huge Michigan fan so I bet you can guess which flag flies in the operations center! The office has a lot of lively discussion centered around Buckeyes or Wolverines. On occasion a fan of one or the other will lose a bet And will be wearing the other teams jersey to work the next day. We hauled all the game-day football equipment for Bowling Green away games this year. That is the kind of fun shipments that we have in our niche of transportation. Tell us a bit about your journey to Premium Transportation Logistics. Not so much my personal journey, but the journey of the old Express-1 team, I think was the result of a group of us missing the thrill of what we had in the past. In PTL we saw a company that provided a great framework to do it all over again, but better. PTL had been in business since the early 2000’s and had developed a core base of strong staff, drivers, and customers that we thought would be the perfect launch pad for our return effort. We joke that we brought the band back together, and have some new “younger” members too. How long has Premium Transportation Logistics been in business and what types of vehicles are you currently running? Premium has been in business for over 15 years and we run vans, straight trucks, and tractors. The mix in the fleet is about one third each. We run the 48 states, but primarily east of the Mississippi. 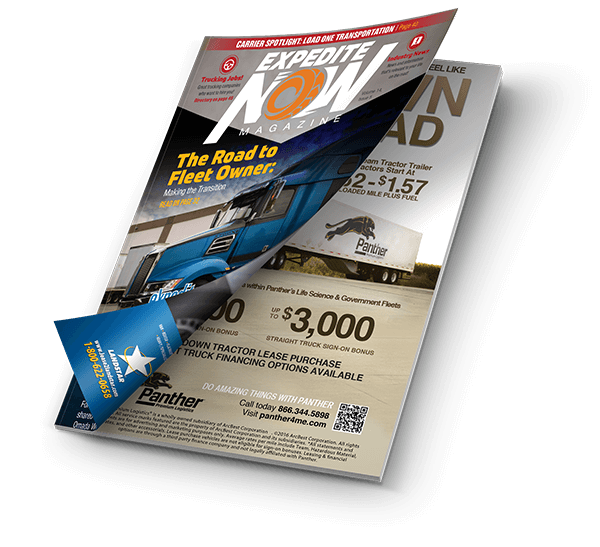 Prior to our (Magnate) acquisition in April of this year PTL was mixing expedite business and truckload. We have been busy transitioning the business from the partial truckload model to a 100% expedite model. I am glad to say that the transition is complete, and it has been very successful. What is a major change you have witnessed or experiences in the expedite industry over the years? As I mentioned before both Jim and I had been out of the business for a while. In my case, I was out of the expedite business for 5 years. Some things have not changed at all, but certainly others have changed a great deal. One thing I noticed right away was that the phones don’t ring nearly as much as the old days. Many of the large shippers communicate electronically and the call volume compared to years ago has dropped significantly. Like many maturing business models there are more competitors in the space now. The distribution of loads electronically has made it easier to setup shop without much of sales team to support the business. Sales are still important but it is certainly a different sales approach today than it was back in the day. Capacity is another topic; vans remain driven by owner operators, straight trucks are largely fleet owner sourced, and tractors are a combination of owner operators, company, and fleet owners. The day of Joe or Sue who own their own straight truck has pretty much passed us by. Good drivers were always hard to come by, but they are especially hard to find and keep today. The obvious change with ELDs, which seemed to take forever to come to fruition, but we are finally at the finish line with ELDs. I’ve been real pleased to see how many drivers like the ELD and would not have it any other way. I came from banking most recently and the two big disrupters were technology and compliance. I would say that those two disruptors are a big part of change in our expedite world too. It’s nice to see that communication technology has improved and we do not need to put the big domes on all trucks in order to communicate via satellite. Can you tell us about operations at PTL? Such as any upcoming changes or program additions? Jim has done a great job in instilling the power of “YES” in the team, in fact we do not refer to the group as operations, but rather internal sales. As the label “internal sales” better connotes the positive never say no approach we expect. We’ve hired new and additional staff to accommodate our growth. We have made the atmosphere a more data driven environment by posting key metrics that drives our daily activity. I always thought that a business without scoreboards is like going to a game and not keeping score. That would be pretty boring. 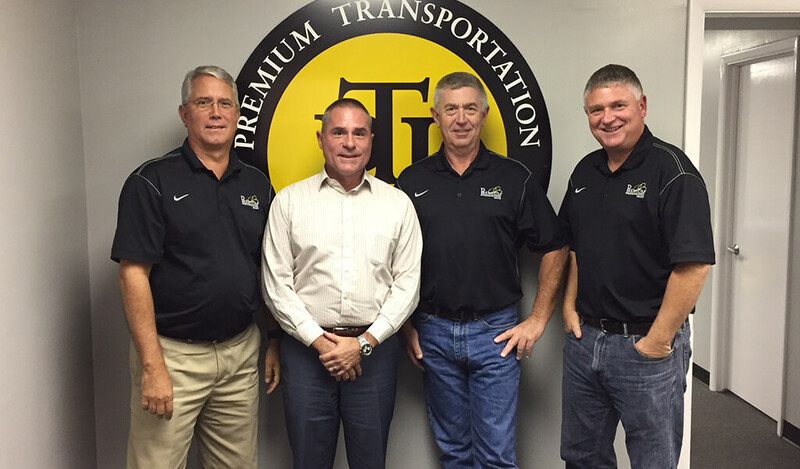 What is something you feel sets PTL apart as a successful motor carrier? We are part of the Magnate worldwide family which includes: Masterpiece International, Trumpcard, Magnate Worldwide Logistics, and PTL. Masterpiece is a freight forwarder that specializes in the transport of very high end items, such as extremely valuable artwork. They are our international experts. Trump Card also provides high end service domestically from offices around the US. Masterpiece is headquartered in New York, and Trump Card in California. Magnate Worldwide Logistics focuses on cross border shipments, some company relocation logistics, and also serves as the conduit for all Magnate companies in helping them combine business opportunities. PTL is the “ground game” we have the trucks that can complement what Masterpiece or Trump Card are piecing together. It’s a pretty powerful family of companies. The other day we had a PTL truck out in the state of Washington and within hours of delivering Trump Card had the truck on its way with another 1,000 mile plus load. Service sensitive and time sensitive is our sweet spot. If a new driver in 2017 were to ask for some general advice heading into this industry, what would you say? Great question. I just had a young man and his parents ask me this very question the other day. Its kind of like picking a college you want to attend. Do you want large or big? Do want local or National? What do you want to specialize in? Other key questions are what is their turnover? Do they measure it and track it, or do they wing it on that answer? What driver performance metrics do they follow? Do they have awards and recognition for the drivers? I could go on, but that is my thought pattern on this important question. Is there anything else you would like to share with our readers? We acquired PTL because we love the expedite industry. We missed what we accomplished in the past and want to do it all over again, but better.